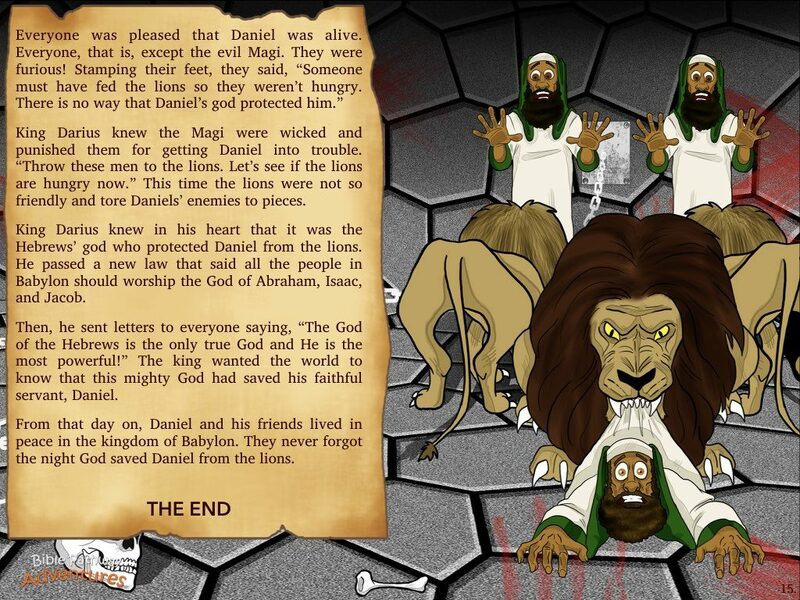 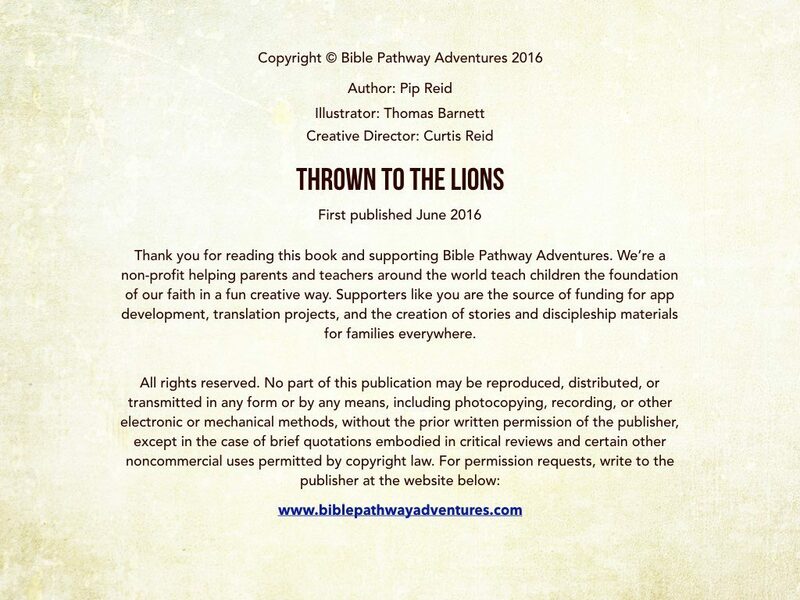 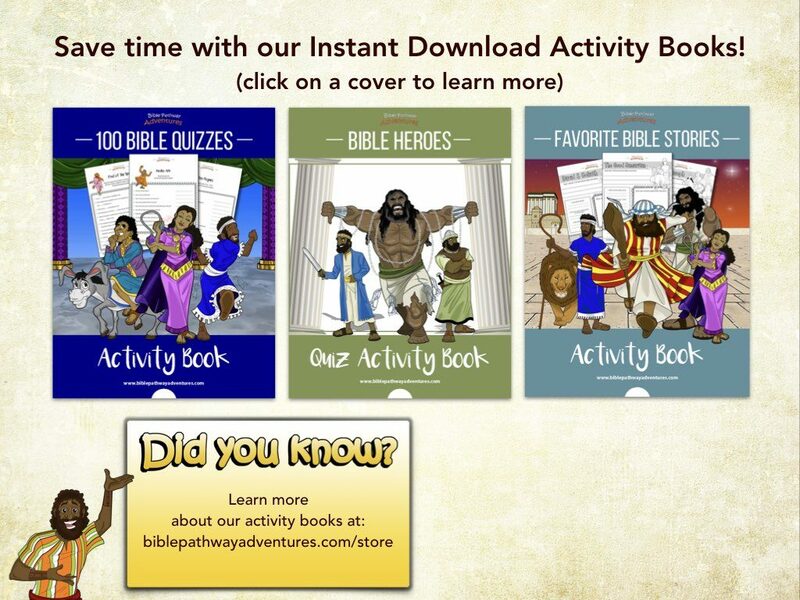 Listen to Thrown To The Lions above and click the next page to follow along using our Storybook options. 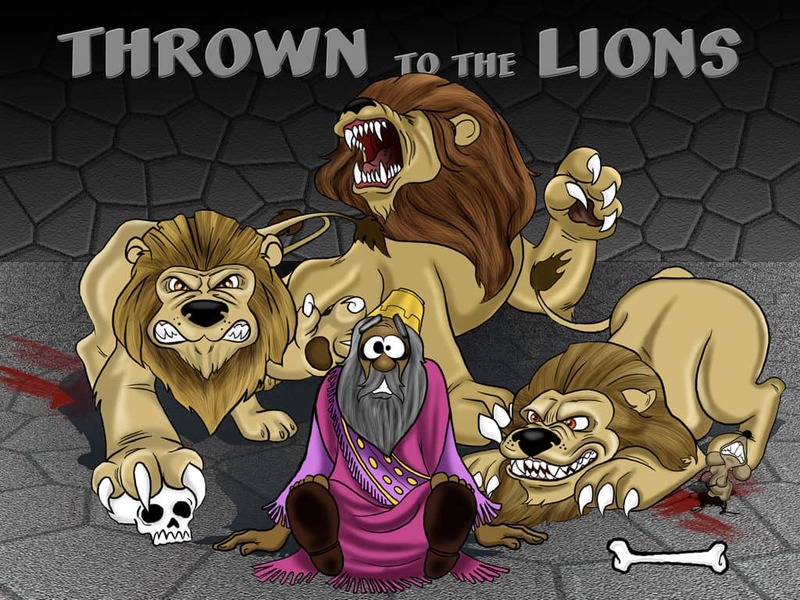 Thrown To The Lions | Despite the prophet Jeremiah’s warnings, the Hebrew people continue to disobey Yah, the God of Abraham, Isaac, and Jacob. 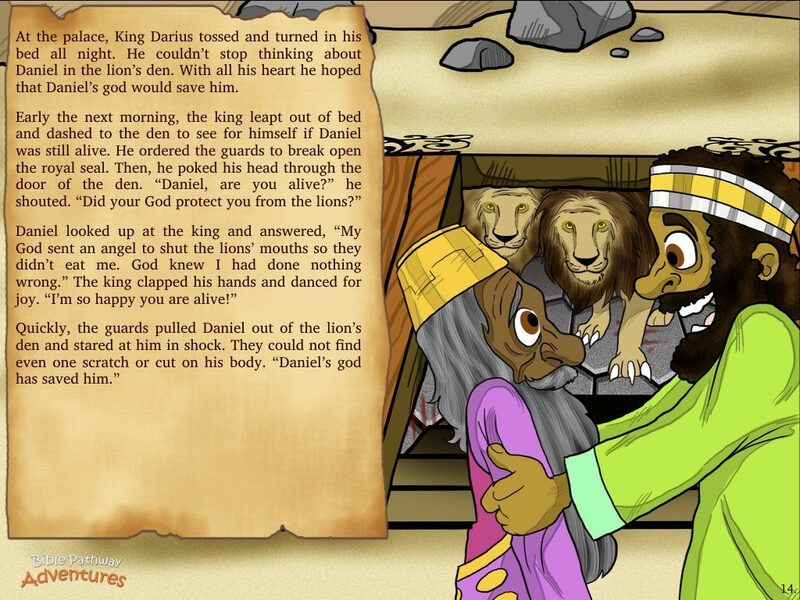 Yah is not pleased. 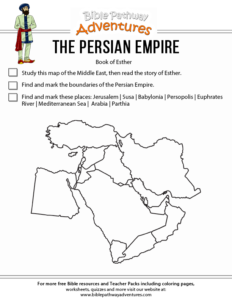 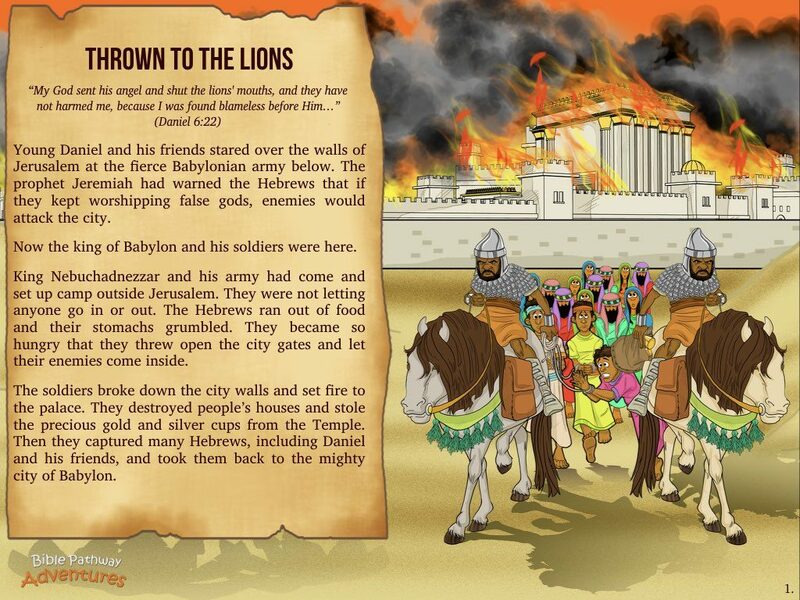 He allows their enemies, the fearsome Babylonians, to destroy Jerusalem and take many Hebrews back to Babylon. 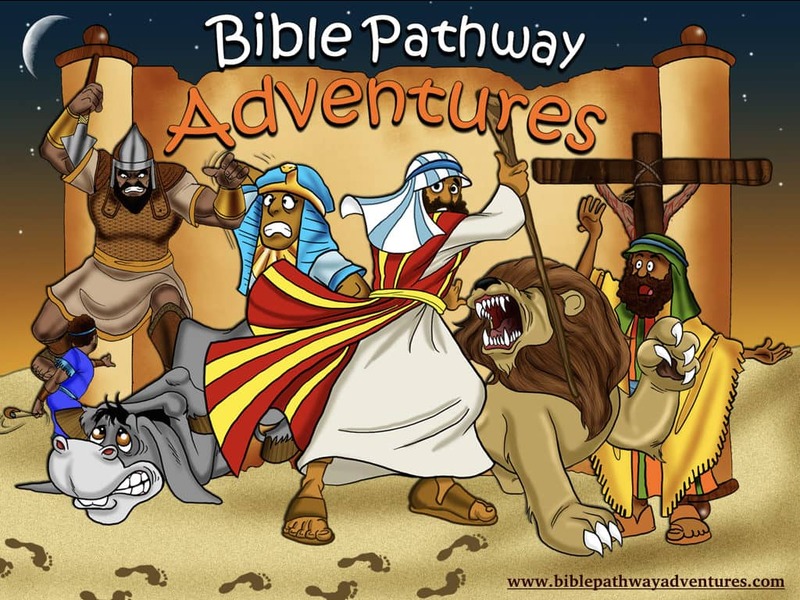 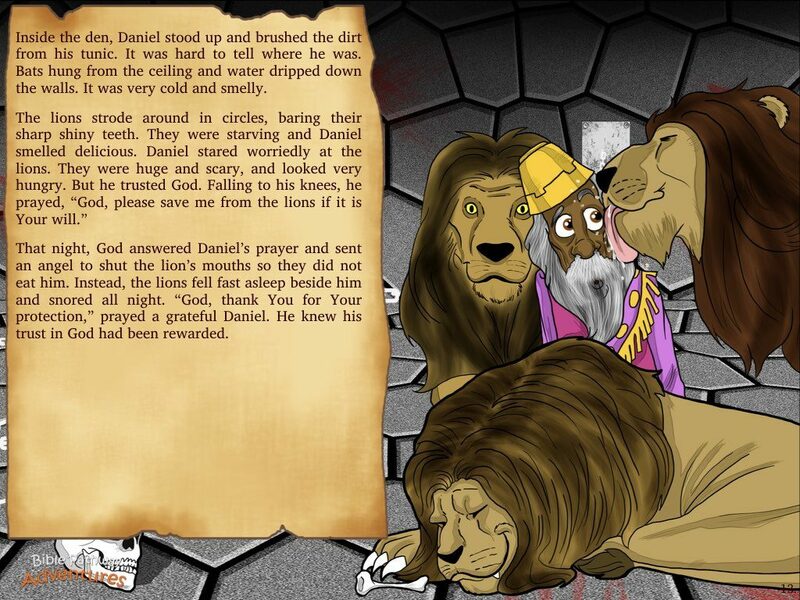 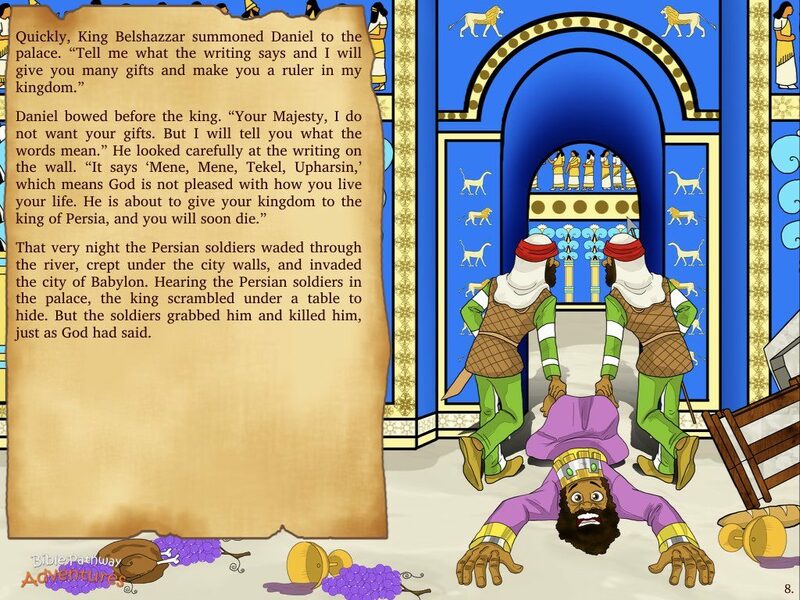 In captivity, Daniel finds favor with King Darius. 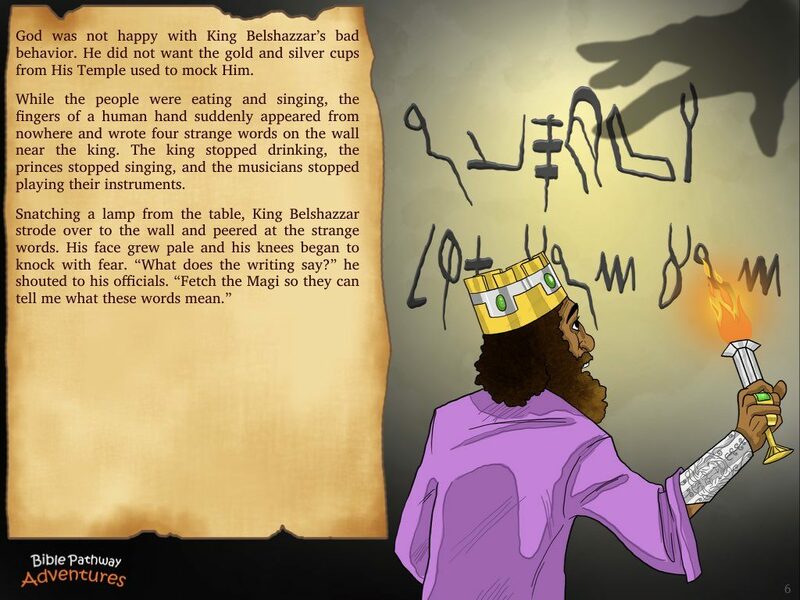 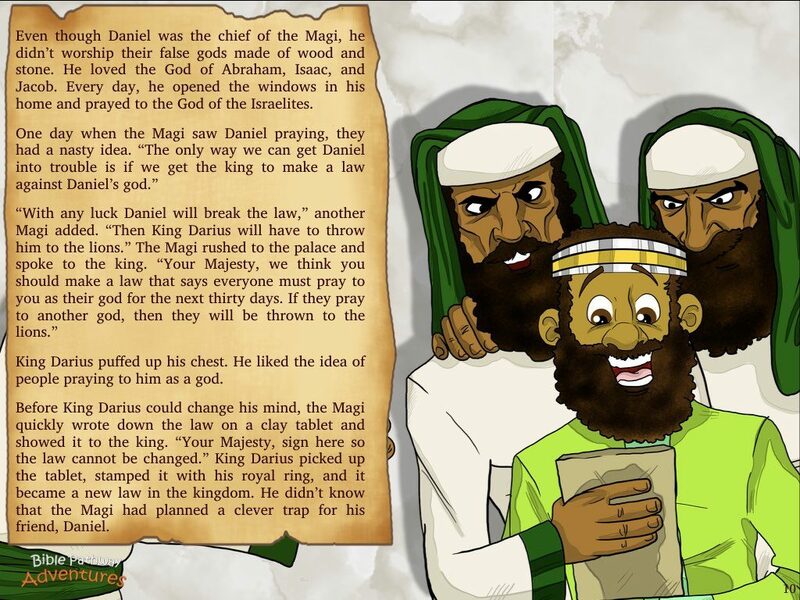 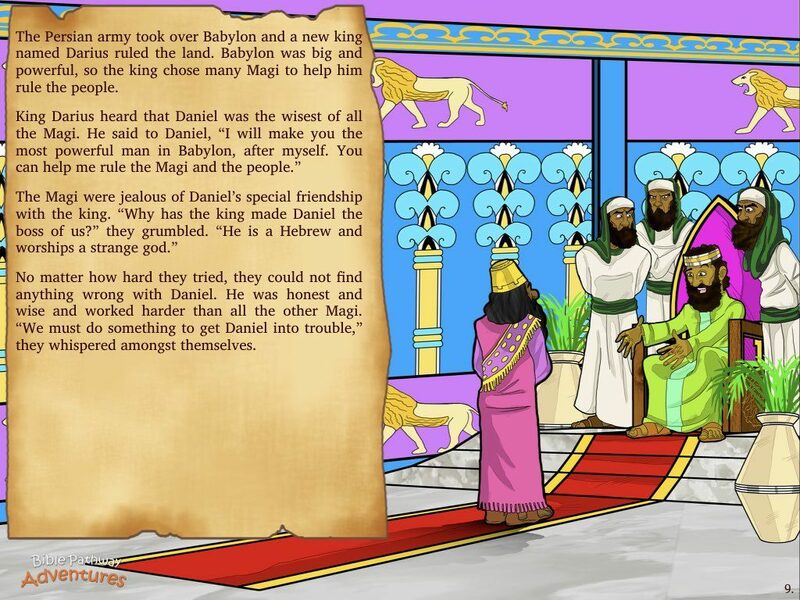 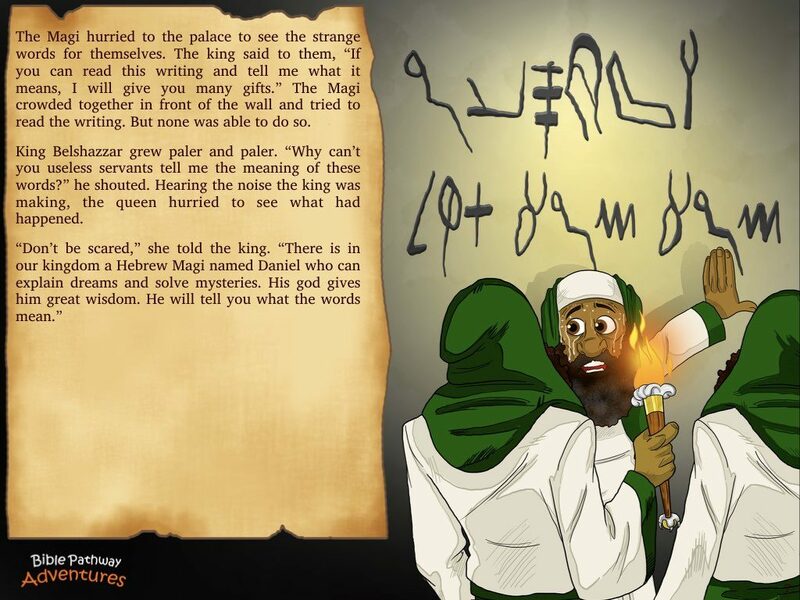 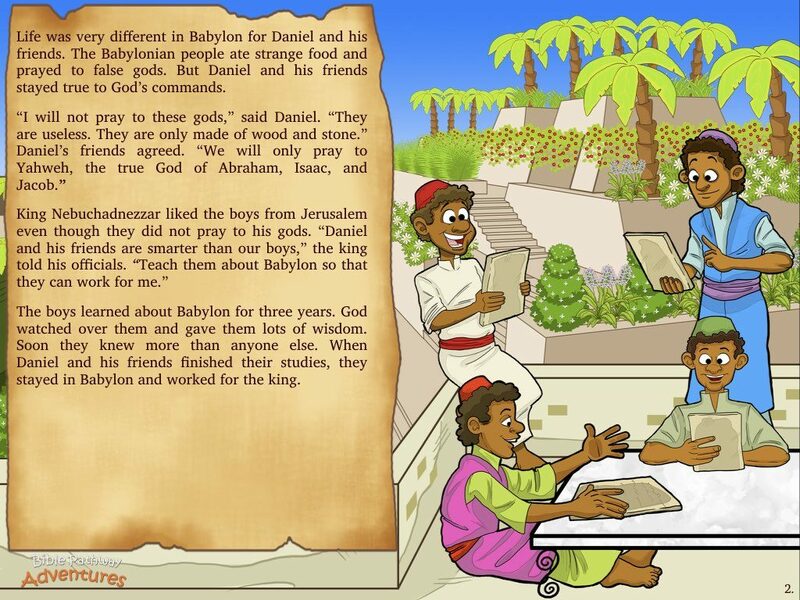 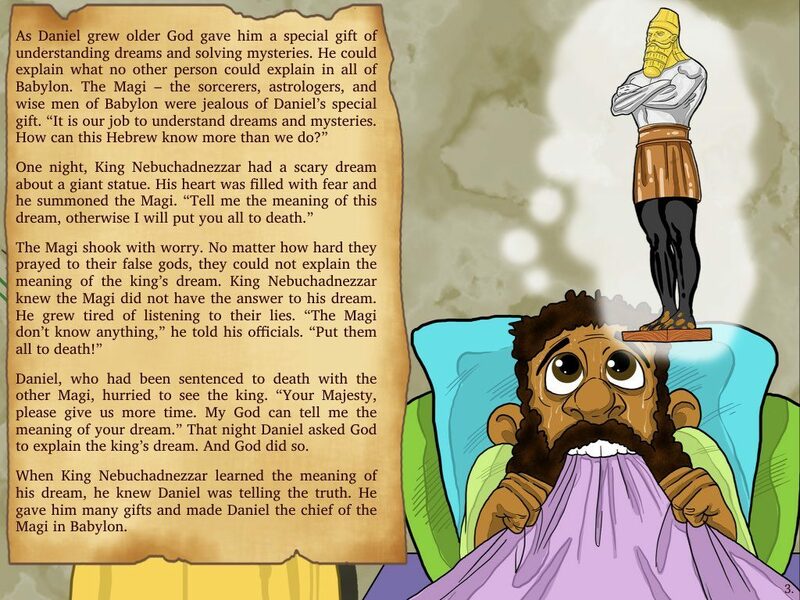 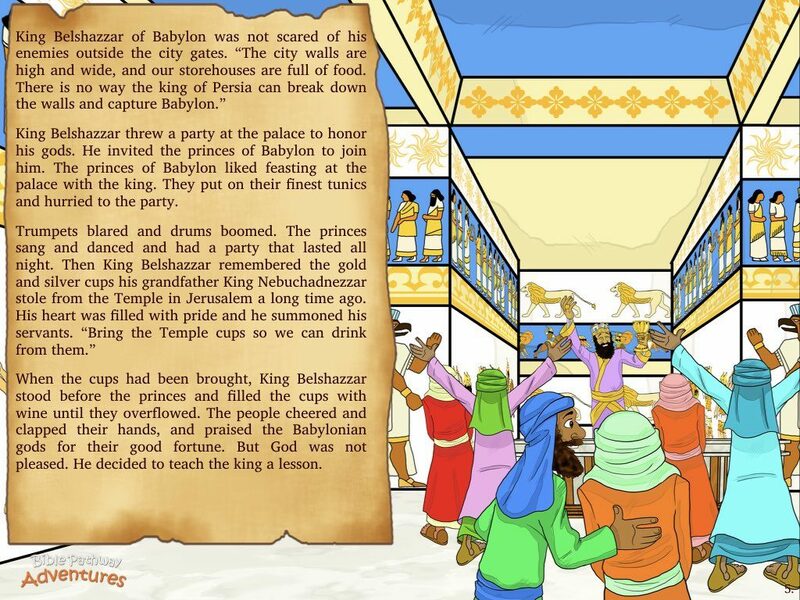 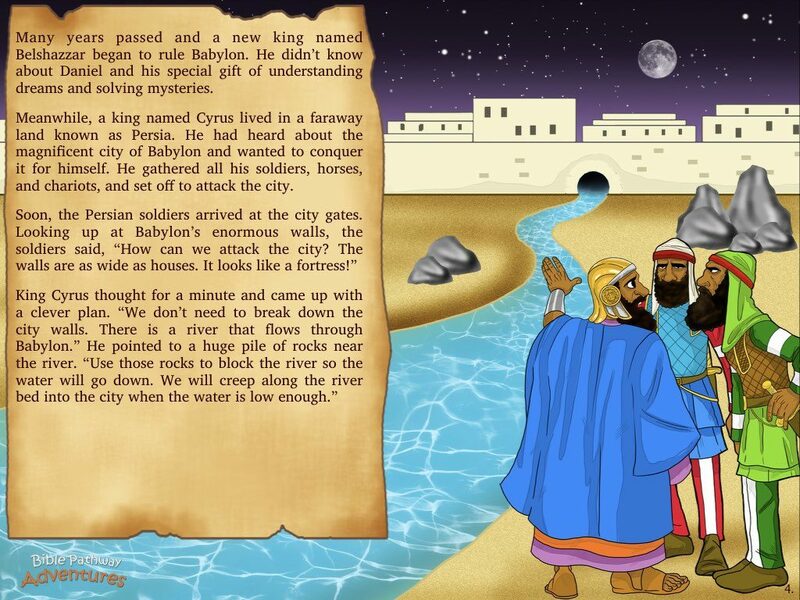 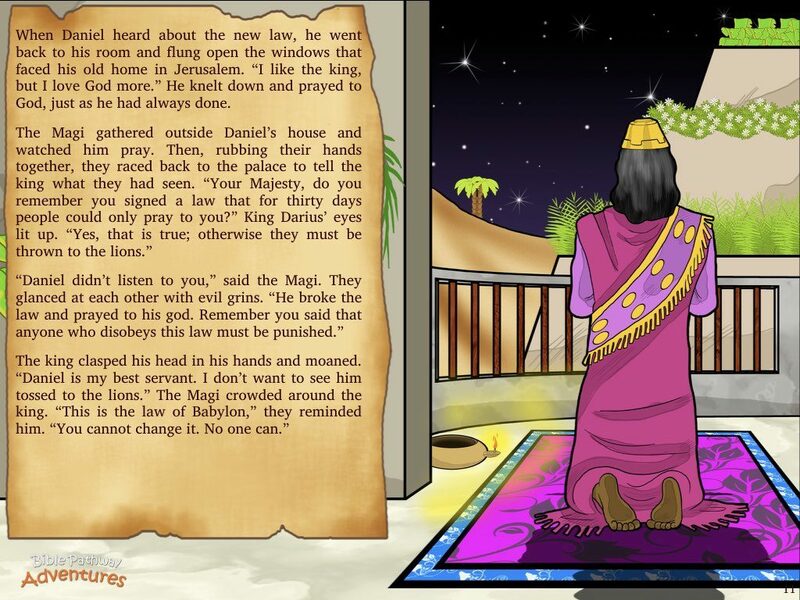 But the Magi are jealous of Daniel’s special friendship with the king. 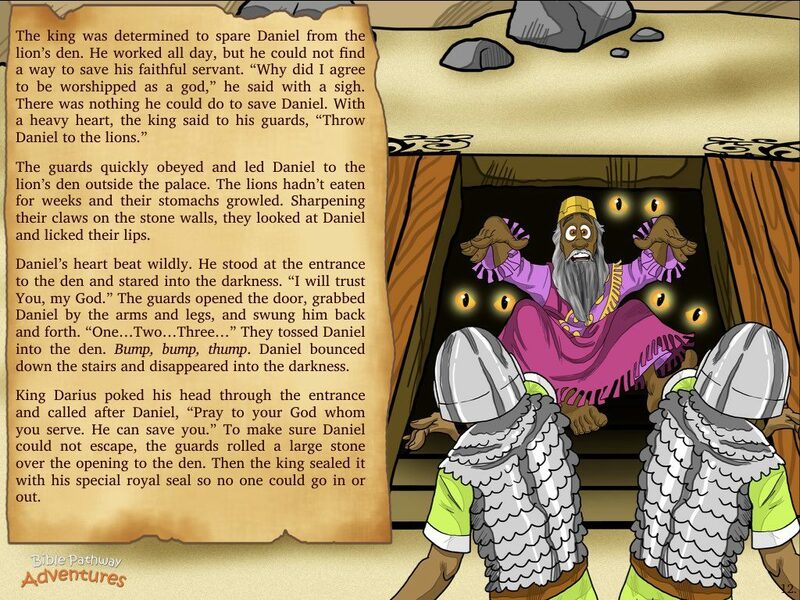 They hatch a plan to get rid of him for good.